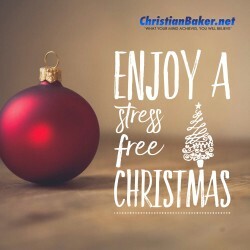 Would you like to enjoy a stress free Christmas, below are my 3 top tips to help you avoid Christmas Stress and enjoy a Stress free Christmas. Christmas can be such a special and magical time of year, but it can also generate a lot of stress! Self imposed pressure of making it all perfect, kitchen stress of cooking for more people than you’re used to, financial stress, stress and upset of missing loved ones. Number 1 – Keep Calm its only Christmas . Enjoy some Christmas Calm, do what you can, to keep calm and be more mindful. Help keep your mind in the here and the now stop thinking and worrying about the past or the future, the things you can’t control, and just enjoy the here and the now more. And regardless of how stressful it gets, just remember it’s only 1 day, it will pass, so put it into perspective, it’s only 1 day! Number 2 – Relax and take some time out, whether that’s for yourself, or with loved ones. Avoid the stress and madness, by making sure you take time out to relax. This may include going for a nice walk, taking a relaxing bath, doing a puzzle, listen to some uplifting music, watching your favourite movie. Just allow yourself sometime to naturally get out of your own head and enjoy some downtime. Number 3 – Focus on Fun – focus on what you enjoy about Christmas, focus on what make Christmas fun and special for you, focus on doing more of the fun things. We get more of what we focus on so, ensure you allow yourself time to focus on the good things. I sincerely hope you enjoy a calm, relaxing, fun Christmas. And remember – What your mind believes you will achieve – so think differently, believe in yourself, take action and achieve the life and the Christmas you want!